Play the soft, metallic reflections of Powder Eye Shadow in Slink (soft champagne shimmer) and Liquid Metal in Focus (cool brown metallic), against the mysterious depths of Powder Eye Shadows in Forgiveness (rich chocolate plum) and Queen of the Night (blackened plum). Forgiveness: Talc, Dimethylimidazolidinone Rice Starch, Mica, Aqua (Water, Eau), Magnesium Myristate, Propylene Glycol, Octyldodecanol, Isopropyl Myristate, Glyceryl Stearate, Phenoxyethanol, Peg-150, Silica, Ricinus Communis Oil (Ricinus Communis (Castor) Seed Oil), Cetearyl Alcohol, Quaternium- 26, Methylparaben, Glyceryl Ricinoleate, Ethylparaben, Cera Carnauba (Copernicia Cerifera (Carnauba) Wax, Cire De Carnauba), Candelilla Cera (Euphorbia Cerifera (Candelilla) Wax, Cire De Candelilla), Sodium Cetearyl Sulfate, Stearic Acid, Propylparaben, Cera Microcristallina (Microcrystalline Wax, Cire Microcristalline), Tetrahydroxypro- Pyl Ethylenediamine, Paraffinum Liquidum (Mineral Oil, Huile Minerale), Cetyl Alcohol, Cera Alba (Beeswax, Cire D&Rsquo;Abeille), Parfum (Fragrance), Ci 77891 (Titanium Dioxide), Ci 77491 (Iron Oxides), Ci 77499 (Iron Oxides), Ci 75470 (Carmine), Ci 77007 (Ultramarines). Slink: Talc, Ethylhexyl Palmitate, Magnesium Stearate, Mica, Zea Mays Starch (Zea Mays (Corn) Starch), Silica, Parfum (Fragrance), Ci 77891 (Titanium Dioxide), Ci 77491 (Iron Oxides). Queen Of The Night: Talc, Octyldodecyl Stearoyl Stearate, Nylon-12, Isostearyl Neopentanoate, Magnesium Myristate, Dimethicone, Silica, Calcium Aluminum Borosilicate, Tin Oxide, Mica, Ci 77891 (Titanium Dioxide), Ci 77491 (Iron Oxides), Ci 77499 (Iron Oxides). Focus: Paraffinum Liquidum (Mineral Oil, Huile Minerale), Paraffin, Candelilla Cera (Euphorbia Cerifera (Candelilla) Wax, Cire De Candelilla), Petrolatum, Cera Carnauba (Copernicia Cerifera (Carnauba) Wax, Cire De Carnauba), Tocopherol, Hexyl Laurate, Cera Alba (Beeswax, Cire D&Rsquo;Abeille), Cetyl Palmitate, Lanolin Alcohol, Propylene Glycol, Bht, Cetearyl Alcohol, Glyceryl Stearate, Ascorbyl Palmitate, Citric Acid, Parfum (Fragrance), Mica, Tin Oxide, Ci 77891 (Titanium Dioxide), Ci 77491 (Iron Oxides), Ci 77492 (Iron Oxides), Ci 77499 (Iron Oxides), Ci 77007 (Ultramarines). A good palette overall but a couple of the shades come out a little weaker than one might expect. I absolutely love this palette. 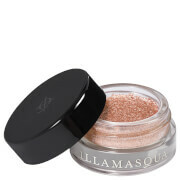 The colours are flattering and the eye shadow glides onto the lids and stays there all day. Vibrant shades that last all day. Very beautiful palette, I really love this colors! No improvements for this. I thought the colours are lovely.